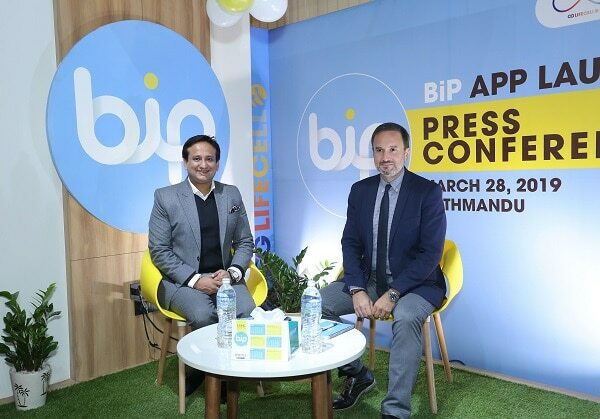 CG LifeCell launches BiP app, a communication app in Nepal. They claim it to be the first messaging app in Nepal and have multiple functionality to ease the communication. CG LifeCell is a new venture of Chaudhary Group for the digital services and most probably telecom services later. CG LifeCell has announced their partnership with TurkCell in MWC 2019 for bringing their platform for the different range of services. The BiP messaging app is the first digital service launched from the CG LifeCell, after the partnership announcement. Chaudhary Group (CG) has established a data center in Nepal to host the server for this application. Managing Director of CG, Mr Nirvan Chaudhary says, “We have installed a data center within Nepal for this application. It will keep the Nepalese data to reside within Nepal and contribute to the revenue of the country”. 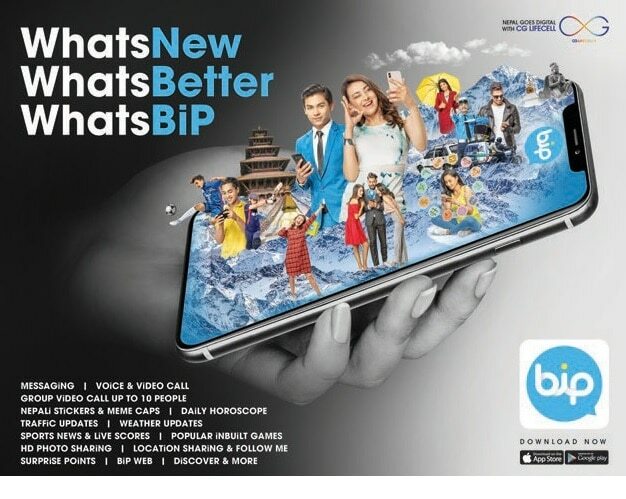 As per the company, they have introduced the BiP app in Nepal to aid the Government’s target to build ‘Digital Nepal’. BiP app is a communication app with which people can make voice/video call, message, share files with another Bip user. Additionally, they will provide foreign exchange rate, Weather forecast, News and more information within the app. The BiP app is available to use in Android and iOS operating system of phones. You can download it from the respective Google Play store and Apple store. It can also be used in computers. Video calls to ten people at once. Location sharing (that comes handy to reach people). You can also invite other non BiP users to download the app and start communicating. BiP app is developed by Turk Cell for easy communication among their users in Turkey. The app has also been launched in several other regions. What is the best way to use Cellular/Mobile data?